Here at Baker Pool & Fitness, we are proud to be serving the Franklin, WI area, as well as surrounding areas, and providing the best pool & spa maintenance around. We pride ourselves in great customer service and a job well done. 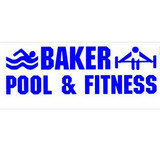 You will not be sorry for choosing Baker Pool & Fitness! 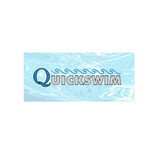 Aquatech is a Swimming Pool Service & Maintenance company serving all of Wisconsin. We are located in the Milwaukee & Waukesha Area, but have traveled from Green Bay to Madison and back to service our clients. Clearview Pools Inc. is a family owned and operated business located in Northern Illinois. Our goal is to provide exceptional customer service while tailoring your pool to fit your lifestyle and individual needs. We offer installation with all purchases! 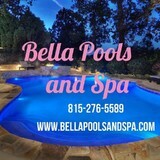 It is our goal to save you as much money as possible with your pool. We NEVER charge a trip fee. Travel time will be charged based on how the equipment was purchased. 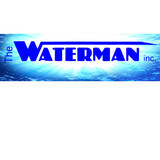 JNT Pool Service is a fully insured contractor with a $1,000,000 liability policy. We believe in “working by the book.” If something with your pool does not meet code, then you will be informed and given a recommendation in order to remedy the issue. 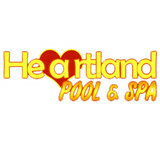 We vouch to treat your pool like it is our own! What should I look for when hiring a pool cleaning service in Waukesha, WI? Pools and hot tubs are big investments, so you’ll want to make sure to protect them by hiring an expert who cares about them just as much as you do. Check that the Waukesha swimming pool maintenance service you are interested in actually specializes in the type of pool you have — chlorine and salt water pools have very different needs, and in-ground versus above-ground pools will require different upkeep and repair methods. Also, know who will be doing the repair or service; if it’s one of the larger swimming pool services in Waukesha, WI, request that you get same person every time, otherwise you could get inconsistency in treatments. Good Waukesha pool professionals will keep a consistent schedule and log everything they do so that it can be referenced in the event that you switch companies or something does go wrong. Like any other professional, look for local pool cleaning companies near you with plenty of good reviews and relevant experience. Find a Waukesha, WI swimming pool repair and maintenance specialist on Houzz. Narrow your search in the Professionals section of the website to spa and pool maintenance companies in Waukesha, WI and read reviews and ratings for pros in your area.